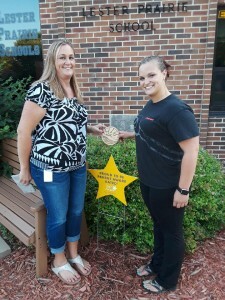 LESTER PRAIRIE, MN – The Prairie Days medallion was found this morning (Wednesday, July 11) by Kari and Jess Artmann. 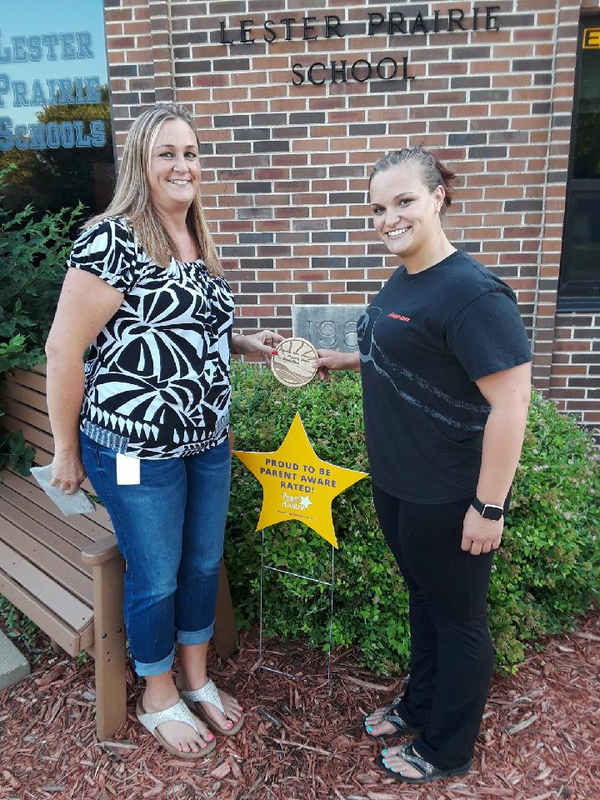 It was located by Lester Prairie School. The Artmanns received a prize of $200 in Prairie Bucks, provided by the Prairie Days Committee and the Prairie Arts Council.